The concept phone named HTC Pyro is designed by Alexander Black. From the outlook, it adopts bright red as the dominate tone which makes it glittering and matches with its name as well. In the following, there will be specifications of this phone. The HTC Pyro concept phone takes Qualcomm Snapdragon chips into use and basic frequency is 2GHz quadcore processor. It is equipped with 4.8-inch Super AMOLED display, with no Home button so it should be all capacitive touch buttons. In addition, it has double cameras, the main camera is with 12 million pixels and the front-facing camera is with 8 million pixels, supporting real HD video dialogue function. 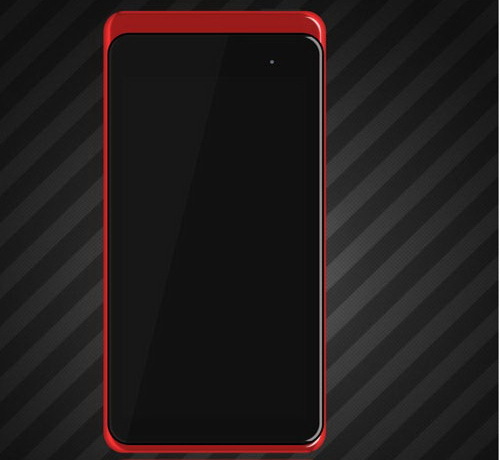 Furthermore, this HTC Pyro concept phone is running on Android 4.0 Ice Cream Sandwich system. 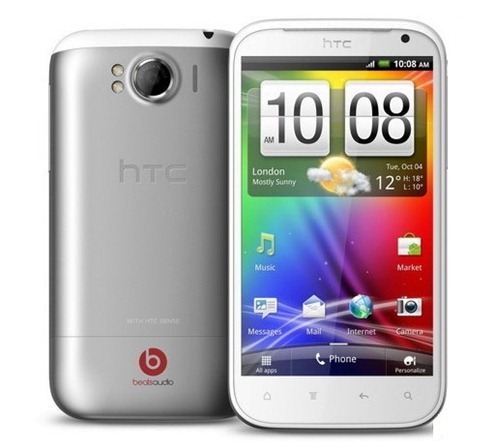 The latest HTC Sense 4.0 operating interface should be employed by this phone and the Beats audio technology is supportable. However, the 768MB RAM and the storage space less than 1GB are a bit stingy indeed, and which is also one of the imperfect points of HTC phone. 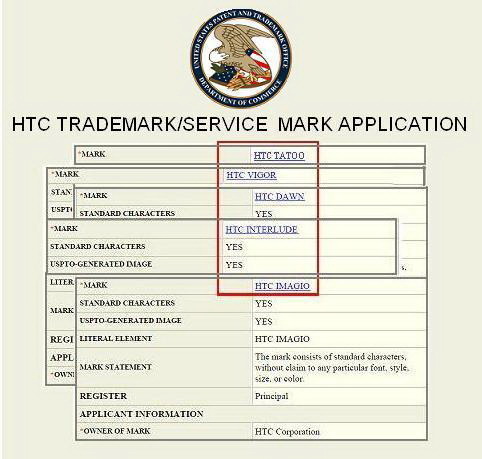 According to the designer, HTC Pyro concept phone will be released in 2012 but whether it will take HTC Pyro as the release name remains unknown. The main characteristic of HTC product strategy undoubtedly lies in that it launch smart phones with various specifications according to different network standards and operators. 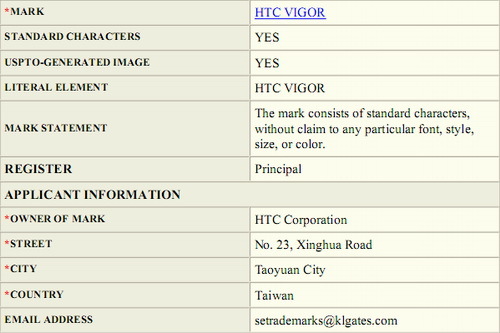 Currently, HTC Rider is going to make a debut and the related information can be found on the internet now. Some one said that this 4G smartphone will be put into the Korean and Japanese market in the name of HTC EVO 4G+. It is said that this mobile phone will be with all the functions and features of HTC EVO 3D except 3D image function. 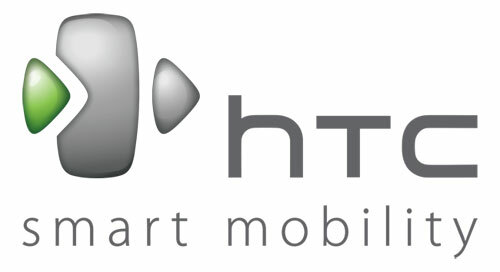 It will be released in the name of HTC EVO 4G+ which focuses on high-speed network surfing. 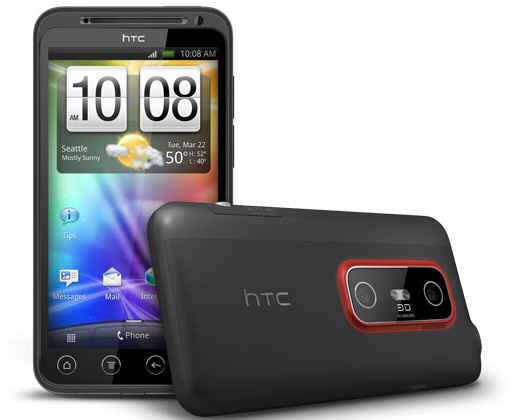 Due to the similarity with HTC EVO 3D, HTC Rider is with preeminent hardware configurations. It is provided with Qualcomm Snapdragon MSM8660 processor, 1.2GHz dual core and Adreno 220 graphics processor and the performance of the latter is four times of the previous Adreno 200. HTC Rider also has 4.3-inch qHD touch screen, supports multi touch and with the latest HTC Sense interface. For the sake of not supporting 3D image recording function, HTC Rider camera resolution will be 8 million pixels. Besides, it has LED supplementary light, automatic focus and 1080p video recording and playing functions. And with the help of the 1.3-million-pixel front-facing camera, users can achieve video call in 4G network. For other functions, HTC Rider will run on Android 2.3 OS, with 3.5mm headset interface, GPS navigation, memory card expansion and more. HTC EVO 4G+ has some outstanding features in wireless network function. It is said that it will support Korean standard WiBro network which can bring with 4G network downloading speed similar to WiMax technology. Simultaneously, HTC Rider performs well in other wireless connections, it can not only support 14.4Mbps HSPA+ network and Bluetooth V3.0, but also its WLAN (Wireless Local Area Network) 802.11b/g/n function is able to support DLNA (Digital Living Network Alliance) connection that can realize wireless connection and data transmission among different devices. The specific release date of HTC Rider has not been settled yet so let’s just for the good tidings. Although the size may be a little bit large has been its deficiency, equipping with large touch screen is a popular trend for smartphone, especially for some flagship level smartphones, with which the outstanding position can be showed flawlessly. In the specifications of HTC Holiday, it is quite possible to add dual-core processor and 3D support function to it. In addition, it will be the first time for HTC phone series to add 4.5-inch qHD touch screen to the configuration and which helps this mobile phone reach to the top level of current smartphones. Among HTC mobile phone family, there are many are equipped with large-size touch screen, from the hottest HTC Desire HD to the new-released 3D smartphone HTC EVO 3D, all of them are with 4.3-inch touch screen. Large-size touch screen is quite excellent for website browsing, movie watching and game playing. So you can convert video to HTC Desire HD or convert video to HTC EVO 3D for wonderful video enjoyment. 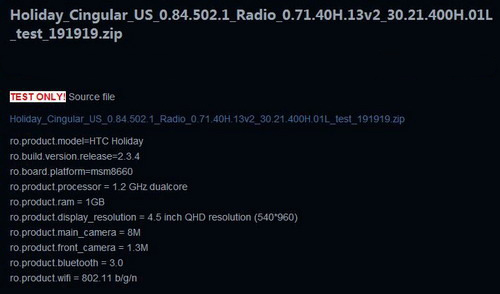 What is shown within the specifications of new HTC Holiday indicates that this phone will be with 4.5-inch touch screen and supports qHD resolutions. Although the specific touch screen material still remains unknown, such a wise touch screen can be totally described as “shock”, especially when it combines with 3D supporting function with which its power has been doubled. 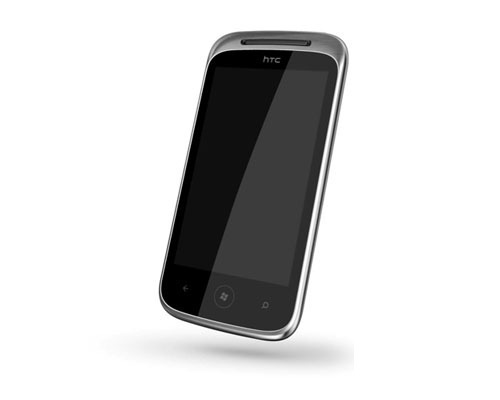 If the previous HTC Rider can be regarded as the GSM version, HTC Holiday this time can be taken as the upgraded version of HTC EVO 3D. Similar to Sharp SH-12C, for the sake of achieving 3D image function, it is with built-in 8-million-pixel dual-camera, supports automatic focus and flashing, and with which users are able to record 3D video. Moreover, 3D video can be playback vividly on the 4.5-inch qHD touch screen, without the help of glasses. Besides, it is with 1.3-million-pixel front-facing camera. In order to obtain a more fluent speed and reflect the flagship identity of this phone, the mainstream dual-core processor is added to HTC Holiday. What should be concerned is that the exposed information shows it is with 1.2GHz processor but what is different is that it adopts Qualcomm MSM8660 dual-core chip set. Compared with the current MAM8260 in HTC EVO 3D, it is with more powerful performance. 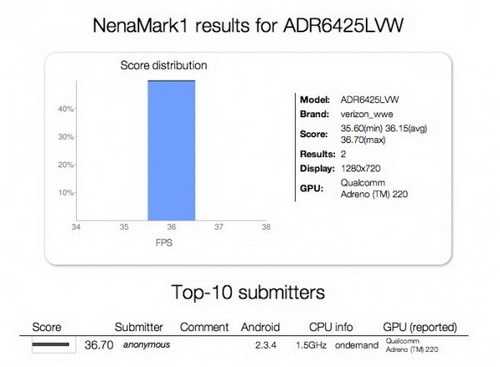 Based on the performance test of MSM8660, not only the basic frequency is up to 1.5GHz, but also the 3D performance overwhelms almost all mobile processors on the market. More surprisingly, the tie-in Adreno 220 GPU corresponds to HTML5 video & audio and flash streaming, supporting dynamic films playback. HTC Holiday brings with naked-eye 3D technology, dual-core processor and more shinning features, adopting Android 2.3.4 system, possessing 1GB RAM, Bluetooth 3.0 technology, WLAN link and more. It still remains unknown whether it will support 4G network. It is reported that HTC Holiday will be released by American operator AT&T, but it is also expected that other versions will be revealed in other areas globally.